We can’t prevent storms. We can, however, make sure the area closest to our power lines is free from tree limbs and debris. To accomplish this, our Right of Way team conducts aggressive tree trimming and clearing along our electric lines to help prevent problems before they occur. Clearing the Right of Way involves cutting, mowing and spraying a minimum of 15 feet from all sides of a single phased electric line, and a minimum of 20 feet from a three phased electric line. We may also use selective herbicides to remove unwanted weeds, brush and trees from the right of way. If total vegetation control is needed to keep the lines clear, we use non-selective herbicides. Our team understands applying herbicides requires precision and we utilize buffer zones to avoiding gardens, flowers and other plants that are important to you. The Energy Cooperative’s internal team works with an external vendor to keep our right of ways clear from ground to sky. You will receive an automated call if we are heading your direction, and we will leave information on your door.  At The Energy Cooperative our number one goal is safety. Trees can conduct electricity and create a safety hazard if limbs grow too close to electric lines. Power outages or flickers can occur when trees contact overhead lines. Electrical arcing from a wire to a nearby branch can cause fires. Of greatest concern is the safety risk when children climb trees near power lines. Accidental contact of electric wires with a tree limb or person around the tree could be fatal. At its height, a tree too close to a power line can cause power outages and potential costly trimming and maintenance problems for both you and the Cooperative. Trees growing near power lines must be pruned to maintain a safe distance from the wires. If you have trees that appear to be growing into power lines, contact us at (800) 255-6815. Never prune them yourself. Utilities have skilled professionals trained to safely trim trees for electric power line clearances.